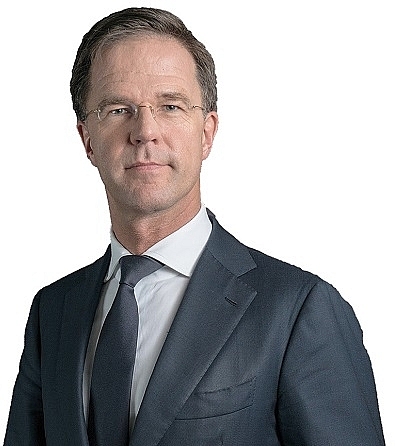 With Vietnam and the Netherlands raising their co-operation to a comprehensive partnership last week, Prime Minister of the Netherlands Mark Rutte talked with VIR’s Thanh Tung about the prospects of bilateral co-operation between the two countries, especially in trade and investment, as well as in sustainable development. What have been the most important achievements during your official visit to Vietnam? I had a meeting with Prime Minister Nguyen Xuan Phuc, my dear friend. While here, I have seen that Vietnam’s vibrancy and the level of sustainability are commendable and I am really impressed with that. Vietnamese people remain very nice and hard-working. We also had intensive discussions with Party General Secretary, State President Nguyen Phu Trong and National Assembly Chairwoman Nguyen Thi Kim Ngan, as well as very nice meetings with people from the business community. The visit was accompanied by a large Dutch business delegation, and many contracts have been signed in agriculture, water management, offshore wind energy, and logistics. We have been able to further our friendship with the Vietnamese prime minister, and of course between the two countries. 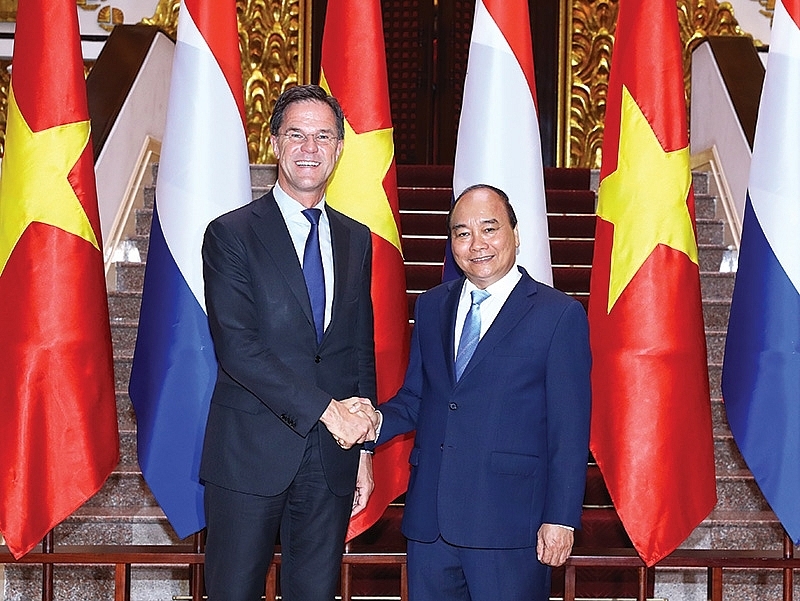 What will be the focus for ­bilateral co-operation between Vietnam and the Netherlands going forward? Traditionally, co-operation was focussed on agriculture and horticulture. However, now we focus more on water management, offshore wind energy, logistics, and energy transition. We can bring to Vietnam modern technology in these potential sectors. The two countries’ bilateral relations are growing strongly, especially the economic relationship. My visit aims to further expand and deepen the strong bilateral ties between Vietnam and the Netherlands. I expect that after this visit, bilateral co-operation in economy, trade, and investment will be further enhanced. How do you assess both the current situation and future prospects for further Dutch ­investment in Vietnam? At the moment we are the biggest investor in Vietnam from the European Union with $9.55 billion in registered capital, and we are also the second-biggest trade partner from the EU, with $7.8 billion in two-way trade in 2018. We take pride that Dutch companies are performing well in Vietnam, such as FrieslandCampina, De Heus, Unilever, Philips, AkzoNobel, Shell, and Damen. They are operating in many localities, such as in Haiphong, successfully teaming up with Vietnamese partners. Now we have a trade ­commission of 70 companies coming to Vietnam. They ­operate in a wide range of ­sectors, such as agriculture and horticulture, water, logistics, and offshore wind energy. They are seeking opportunities to ­invest in Vietnam and also ­investment opportunities for Vietnamese companies in the Netherlands. More and more Dutch entrepreneurs are coming here to explore business opportunities, and I am confident that their numbers will continue to ­increase. Vietnam and the EU are ­expecting to sign the EU-Vietnam Free Trade Agreement (EVFTA) this year. How ­important is the deal to the trade and investment ties ­between our two countries? During my meeting with top Vietnamese leaders, we also talked about the EVFTA. I believe that the agreement is very important as it will help remove many types of import tariffs and other barriers for trading between Vietnam and the EU, including the Netherlands. I am a big fan of the agreement, and I believe that the EVFTA will become a new impetus for us to increase our co-operation. Sustainable development is one of many fields of expertise of the Netherlands. How has this trip helped to foster the knowledge and experience ­exchange in this field? In this regard, we can learn a lot from Vietnam as the country is confronted with many issues. For example, in the Mekong Delta, millions of people are living and being directly impacted by environmental and natural changes taking place. However, they seem to be adapting well to nature, instead of fighting against it. At the same time, we can offer support for the implementation of Vietnamese policies and the development of new ones. We discussed opportunities to improve water logistics, for example, with inland waterways in the Mekong Delta and the modernisation of seaports and airports. We can also share expertise on how to finance water management initiatives to prevent flooding. Special focus is given to private sector financing and the need for the government to give the right concessions to financiers to be able to earn back their investment in the future. Both sides expressed satisfaction over successive steps forward in bilateral co-operation in a wide range of areas such as diplomacy, economy, development co-operation, transport, logistics, agriculture, climate change adaptation, management and use of natural resources, and education and training, and cultural exchange. Acknowledging the significance of co-operation, both sides agreed to upgrade the relationship to a comprehensive partnership, with a view to effectively harnessing their co-operation potentials, enabling bilateral ties to expand and deepen with greater dynamism in all dimensions in the years to come. Both sides emphasised their shared commitment to inclusive and sustainable development as reflected in the Sustainable Development Goals (SDGs) agenda. Both sides reaffirm that this is the main pillar of the Comprehensive Vietnam–Netherlands Partnership, and welcome the contribution of responsible businesses, institutes, associations, non-governmental organisations, and the people of the two countries to the achievement of the SDGs. Both sides reaffirmed that the Vietnam-EU Free Trade Agreement and Investment Protection Agreement are important frameworks for further strengthening economic, trade, and investment relations in a sustainable and inclusive manner between Vietnam and the EU as well as those between Vietnam and the Netherlands, meeting the interests of all parties and contributing to promotion of international trade liberalisation and the SDGs. Both sides also expressed strong support for the ratification of the agreements in the coming months as well as their swift implementation in line with procedural requirements, for the materialisation of their benefits.